OXFORD, Miss. – Protecting the Mississippi River and preserving farming communities in the state is the focus of this month’s Oxford Science Cafe. 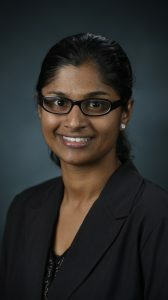 The monthly program, organized by the University of Mississippi Department of Physics and Astronomy, will feature Inoka Widanagamage, UM instructional assistant professor of geology and geological engineering. It is set for 6 p.m. Tuesday (Nov. 13) at Uptown Coffee, 265 North Lamar Blvd. She plans to discuss the negative effects that industrial and farming pollution are having on the Mississippi River, one of the most polluted waterways in North America. She will propose solutions to the river’s many environmental problems and discuss steps that can be taken to protect and improve agricultural lands negatively affected by the river. The Oxford Science Cafe, launched in October 2011, takes place monthly during the fall and spring semesters and is free to the public. The event features a speaker who gives a short lecture on any topic in the science field, followed by a question-and-answer session. The topic of pollution and its impact on the health of Mississippians and the state’s economy is one that needs to be examined and discussed by the community, said Marco Cavaglia, professor of physics and astronomy and Science Café organizer. For more information, visit http://www.phy.olemiss.edu/oxfordsciencecafe/.